Positive psychology is the scientific study of what enables individuals and communities to thrive. 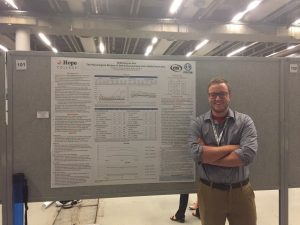 At a recent international conference, one of our Hope College alumni community members contributed to this field of study with some academic thriving of his own. During the event he broadcasted his eagerness to participate, tweeting his excitement to Hope College and the Hope Psychology Club. Robby also gave a shout-out to Hope College alumni who are contributing to the field. 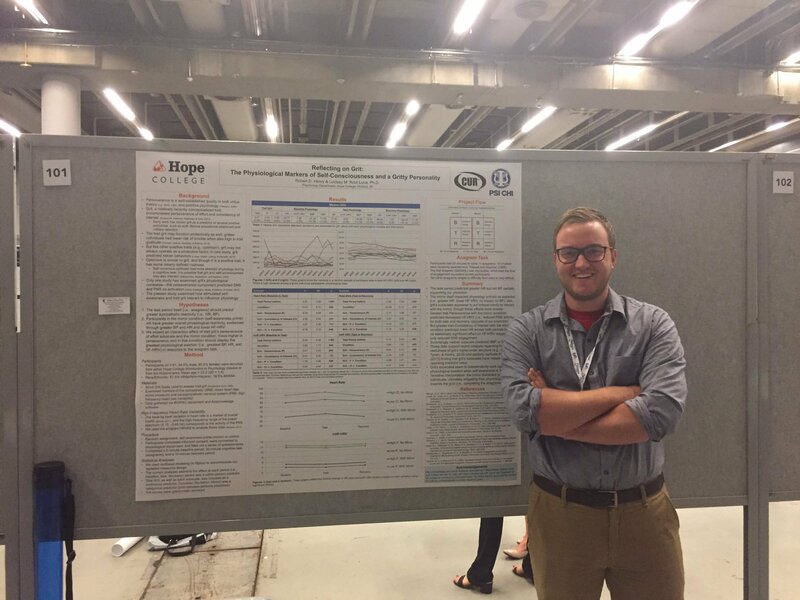 Originally from LaSalle, Illinois, Robby graduated from Hope College with the class of 2017, receiving his BA in Biology and Psychology and minoring in Neuroscience. During his time at Hope he was a Resident Assistant and a volunteer at the Holland Free Health Clinic. Currently, he is a PhD student in Clinical Psychology at the University of Utah focusing on developmental psychopathology, lifespan transitions, and psychophysiology.